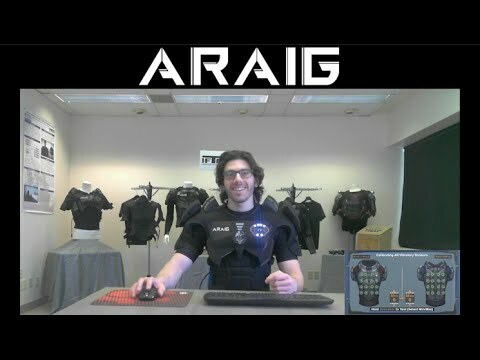 This video shows the community going through the first time setup of ARAIG using ARAIG’s Calibration Tool. This shows the first reactions of the community to the various physical sensory feedback devices that ARAIG has to offer. The Calibration Tool allows the user to set the minimum and maximum parameters of what they will feel while wearing ARAIG. Thus, any output ARAIG receives from a platform or system will scale to be within the levels set by the individual wearing ARAIG.